FSBreak episode 94 with Infinite Flight for Windows Phone 7 developers interview and more at FSBreak. Pictures are continuing to trickle out from the Bombardier BD-100 Challenger 300 for X-Plane project. XScena has released their latest creation, Fernando de Noronha Airport (SBFN) for FSX. Custom realistic landmarks and historical buildings. MilViz has posted several development renders from the upcoming Handley Page Victor. 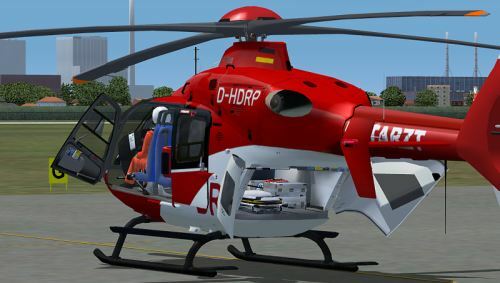 ICARO has released preview screenshots from the HEMS variant from the upcoming Eurocopter EC135 for FS2004. Two Orbx FTX Central Rocky Mountains promotional videos have been posted here and here. Robert S. Randazzo from Precision Manuals Development Group (PMDG) has posted a sit-rep from the 737NGX project. Thomas Ruth has released the freeware Duesseldorf Intl. Airport (EDDL) for FSX. Download Part1 Part2 at AVSIM. Carlyle Sharpe has released his freeware Chatham Islands for FSX. Download at AVSIM. 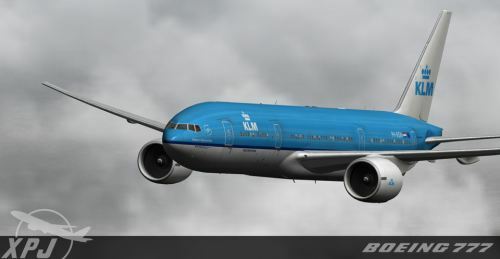 XP Jets has posted several previews from the upcoming Boeing 777-200ER for X-Plane in KLM colours. 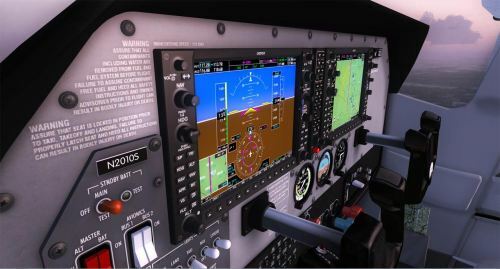 New preview pictures from the MD Helicopters MD-902 Explorer for X-Plane are available. 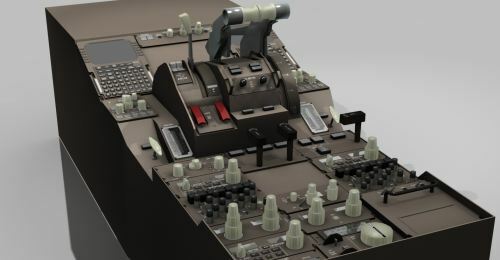 Ramzzess has posted more cockpit renders from the upcoming Boeing 757-200 for X-Plane. SkyDemon has announced beta version 2.2 of the SkyDemon VFR Flight Planner. Take On Helicopters Community Preview build 82503 is available. Note: Arma 2: Operation Arrowhead is required. CR1-Software has released the revamped donation-ware Dornier Do 335 for FS2004. ESC Sceneries Design has released the Milan X photoreal scenery for FSX. Details and purchase at SimMarket. Turbine Sound Studios (TSS) has posted a progress video from the Beechcraft B350 Super King Air Sound Package. Aviation Multimedia Studios (AVS) has released service pack 1 to Cancun 2011 (MMUN) for FS2004. Angelo Tassoglou has released his freeware Preveza photo scenery for FSX. Download at AVSIM. Freeware Washington Dulles Intl. Airport (KIAD) for X-Plane is now available to download at X-Plane.org. 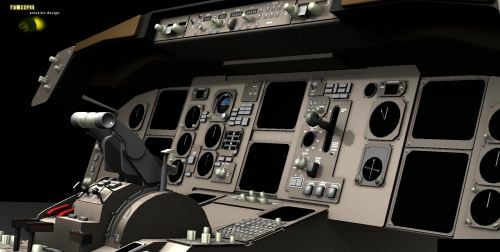 XP Jets has posted new virtual cockpit previews from the upcoming Boeing 777-200ER for X-Plane. TropicalSim has posted new preview screenshots from Ponta Delgada Airport (LPPD) for FSX and FS2004. Bohemia Interactive is now offering 25% off on pre-orders of Take On Helicopters. McPhat Studios has posted the first pictures from their 3D development projects on Facebook. TropicalSim has released the Azores Airports Pack 1 for FS2004 (FSX version to follow shortly). TropicalSim Corvo Airport (LPCR) in the Portuguese Azores is now also available for FSX. 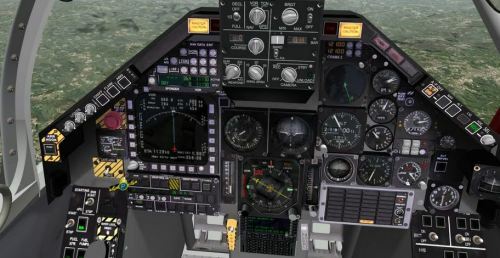 MilViz has released the Northrop T-38A Talon II twin-engine supersonic jet trainer for FSX. -Highly detailed Pilots Operating Handbook: 116 pages written by a real pilot and includes all performance charts and figures. -High quality sound set. including startups with two types of huffers and shutdown. -Flight dynamics tested and tuned by real T-38A pilots. The aircraft flies just like its real world counterpart! -Aircraft features an exterior model manager that enables you to install/remove the huffers, chocks, and show/hide the pilots (from external view only). Orbx has posted more preview images from the upcoming FTX Central Rocky Mountains for FSX. Orbx is offering a 15% off pre-pay special on the upcoming Fall City Airport (1WA6) for FSX. FSAddon has posted preview pictures from the upcoming Ben Gurion Intl. Airport for FS2004. The new and improved Angle of Attack website is now live. The freeware Luftschiff Zeppelin LZ 129 Hindenburg for X-Plane has been released. Download at the AVeRey Website. Freeware Wake Island photo scenery for FSX is now available to download at Simviation. JRollon has posted a sneak peek video from the default Boeing 747-400 in X-Plane 10. 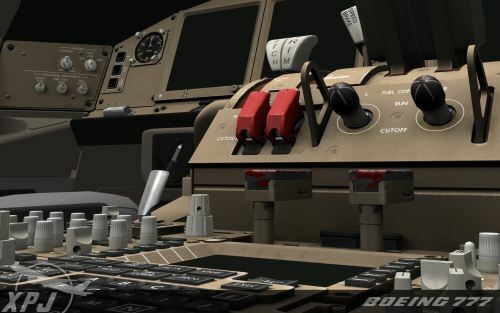 Ramzzess has posted several pedestal renders from the upcoming Boeing 757-200 for X-Plane. The long-awaited AMX Ground-Attack Fighter for X-Plane has been released at X-Plane.org. Just Flight has released the Airbus A319 Jetliner - Corporate Jet Expansion for FSX. Tristan has released his freeware livery pack to the Nemeth Designs Agusta A109 for FSX. TropicalSim has posted a sneak peek from the upcoming Azores - Corvo Airport (LPCR) for FSX. 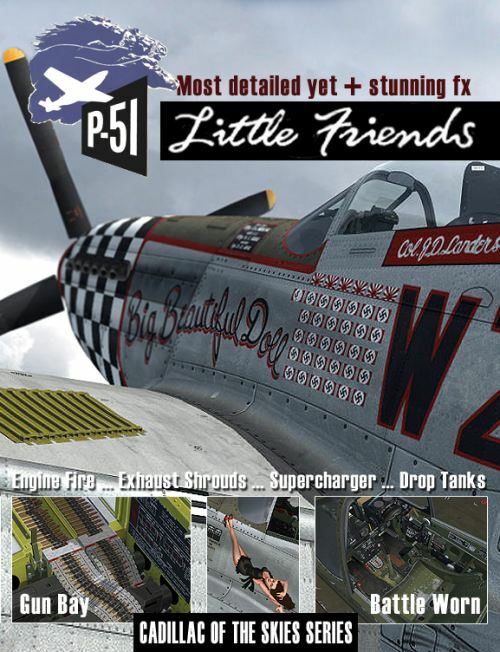 The North American P-51D Mustang Cadillac of the Skies Part 3 has been released at Warbirdsim. SunSkyJet has posted the first pictures from the freeware Toledo Express Airport (KTOL) for FS2004. OZx freeware Green Bay X HD for FSX is now available. More information at the OZx Website. 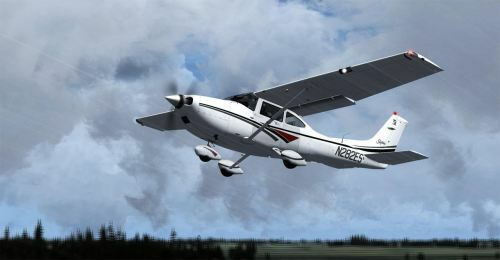 Flight1 Software has released the Cessna 182 TC for FSX. Updated: Now Available at the Flight1 Website. Highly Functional Virtual Cockpit with switchable panel, fuses, etc. New! WAAS instrument approaches - allowing ILS-like approach accuracy for non-ILS-equipped airports within the U.S. Flight planner can be operated independently from the FSX planner - add/delete waypoints, etc.